Moonrise at Broadford on the Isle of Skye & I'm preparing myself for the start to my 5 star training ay 8PM with Gordon Brown of Skyak Adventures. 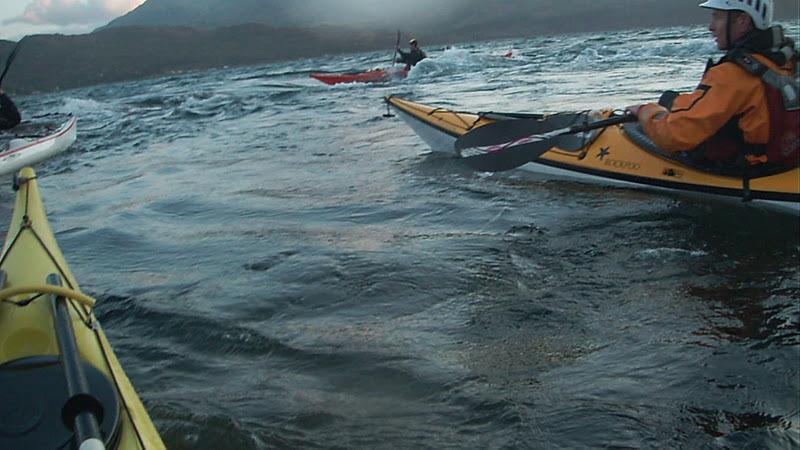 I've heard this is just a planning session but it could quite likely be the night paddle. Tonight though it was planning & Buoy-age, introductions & goals. The next day (day 2) I'm greeted by a beautiful moonrise, this surely must be a good omen. Todays lesson was at Armadale, it was pretty windy & Gordon soon had us playing with our front & reverse sweeps testing which worked best into wind & downwind. Pretty tiring stuff. After that we headed out under the pier to practice amidst the structure itself which was quite entertaining. Moving on from there we were told to hug the rocks which was fun if a little worrying at times. 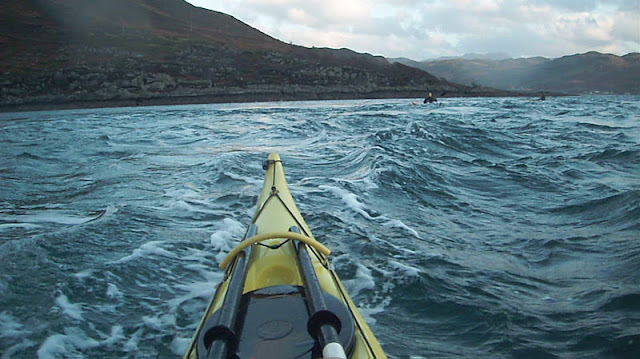 We also had to buddy up & sit next to the rocks with our paddles held over our heads whilst our buddy came in & grabbed the bow of our kayak, simulating a tow rescue. Lunch on a skerry & I needed lunch too! Time for various towing rescues after lunch both on a line & also contact tows. There were plenty of options to keep us going till the end of the day. 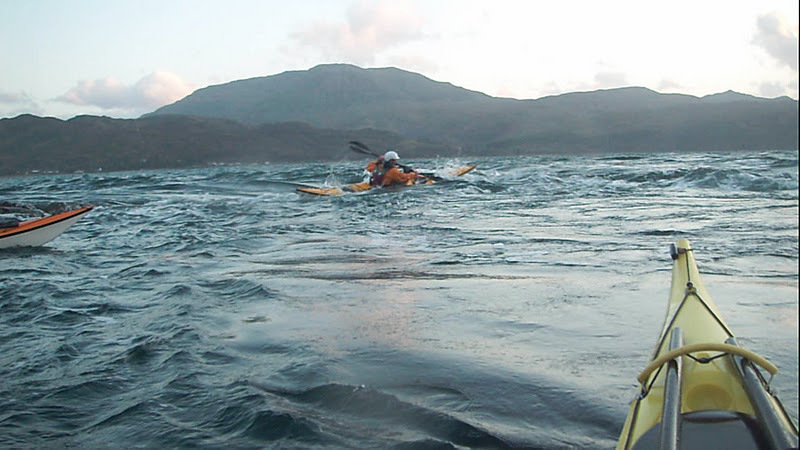 But it wasn't the end of the day as we then drove to Kyleakin for the night paddle. Obviously I couldn't get any pictures as it was very dark. 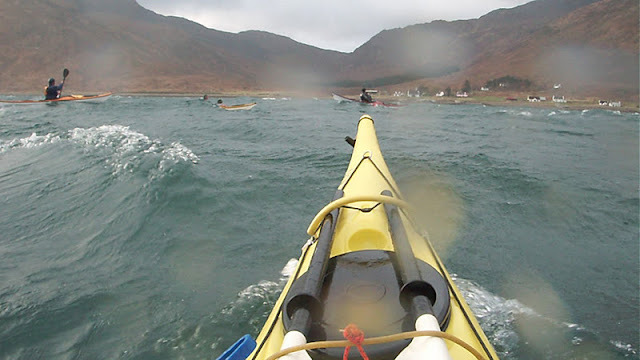 It was also pretty bloody windy so the navigation was kept to a minimum. There was a lot of emphasis on keeping the group together which under the circumstances was pretty important. We also looked at Buoys as these are great for navigation at night. 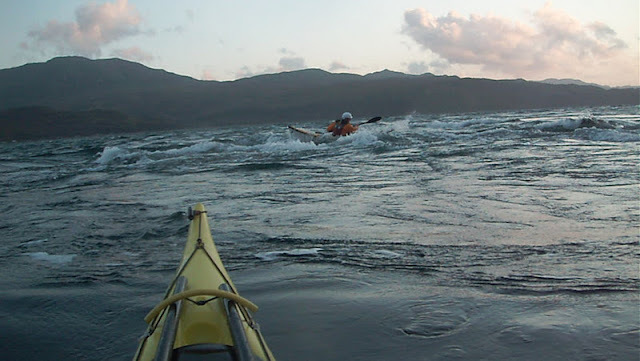 We rounded the night off with some surfing on the way back to camp, nothing big but great fun in the dark evan if I was struggling to keep the kayak on line in the high wind. Day 3 was set to be the scary one, for me at least. We made our way to Kyle Rhea & was greeted upon arrival by some tasty standing waves & a very fast current. After the surfing session it was onto scenarios & rescues. I don't really like this bit as its hard work & often bloody cold but practice really does make perfect. 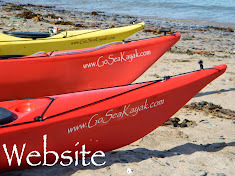 Its an important part of kayaking we should all practice more. 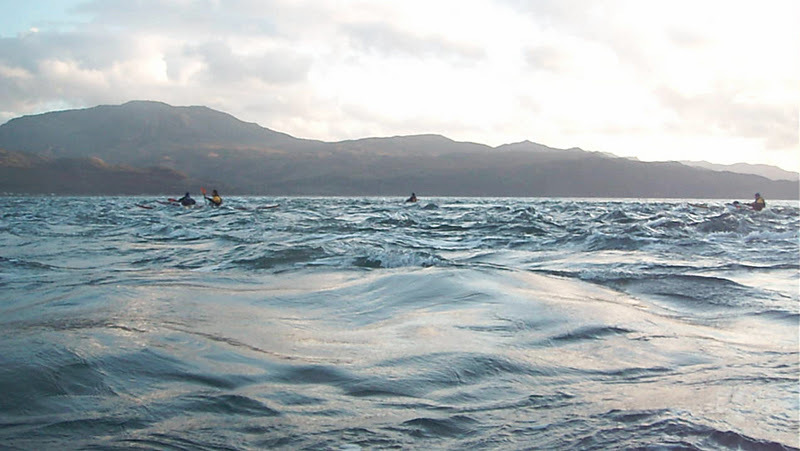 After the scenarios it was back into the surf, now smaller for some rolling & self rescues. No prob's there (phew), time for lunch. We ended the day with some playing in the flow but also rock landings & swimming the boat onto & off the rocks. It was hard work today but without doubt one of my best days paddling, really enjoyed it.